Morning Bliss at Target- Spent $11.38 and saved $21.88! I must admit, for the last two months I’ve been slipping big time when it comes to my coupons and shopping trips. I never knew how much Thanksgiving, Thyroid Surgery, and Christmas (plus two out of school babies) could throw me off my game! (1) Bounce Dryer bar- on sale for $2.99. I use a $2.50/1 mc coupon that I received from Vocalpoint. my total cost was only $0.49! (3) Tom’s of Maine Children’s Toothpaste- on sale for only $2.59 per tube. I used (3) $2/1 mc coupons. my total was only $0.59 per tube! 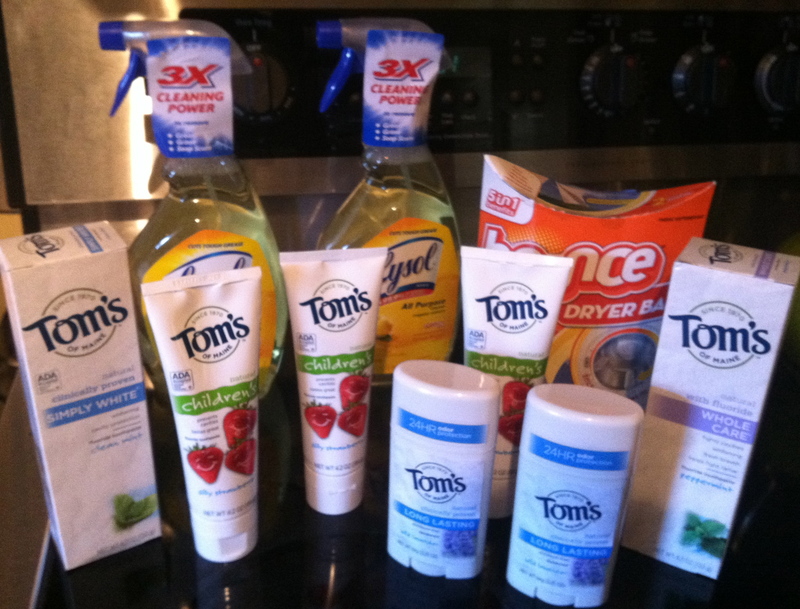 (2) Tom’s of Maine Adult Toothpastes- on sale for only $3.69. I used (2) $2/1 mc coupons. my total was only $1.69 per tube! (2) Tom’s of Maine Deodorants- on sale for only $3.50. I used (2) $2/1 mc coupons. my total was only $1.50 per stick! ***Incase you are wondering where the heck I found 7 manufacturers’ coupons for $2 off of Tom’s, I got them from a tearpad at Whole Foods on two different but recent occasions. The tearpad was located on an end cap in the personal hygiene section (close to toothpaste). They didn’t expire until April, and I was holding on to them because I knew that Target’s Tom’s products are always cheaper than they are at Whole Foods.